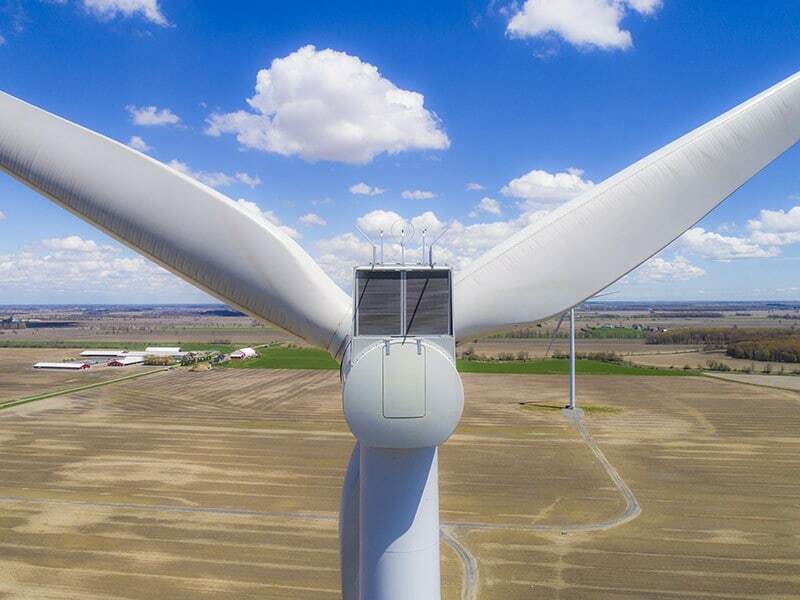 Recon Industrial offers enterprise drone inspection solutions for Turbine Manufacturers, Wind Farm Owners/Operators and O&M Specialists looking to reduce risk, resolve underperformance issues and potentially prevent expensive blade failures and significant downtime events. Routine visual inspections are the foundation of an effective and timely maintenance schedule. Wind turbine blade inspections by UAV allow for rapid deployment with near realtime results. Inspections by UAV allow wind operators to have answers faster, save time, save money and target blade defects earlier, when the severity classification is realtively low. Documented inspections also provide a vital chain of custody to support, prevent or resolve end of contract warranty disputes and/or legitimize insurance claims. Let’s assume that it takes 3 days to fully inspect a turbine using traditional rope methods and the cost for this is $5000.00 per turbine. The total inspection cost for each turbine is approximately $7000.00 based on 0.10 per KWH, a consistent capacity factor of 27%, and a nameplate capacity of 1500 KWH (including the rope inspection cost). The cost for a complete UAV inspection of the same wind turbine using Artificially Intelligent (AI) software for defect recognition is approximately $750. In addition, the UAV wind turbine blade inspection takes maximum 45 minutes, NOT 3 days and does not tie up additional in-field resources. The math is clear, it costs nearly 10x less on a per turbine basis to conduct an inspection using a UAV. In addition the time to completion is significantly faster AND the occupational risk is greatly reduced! 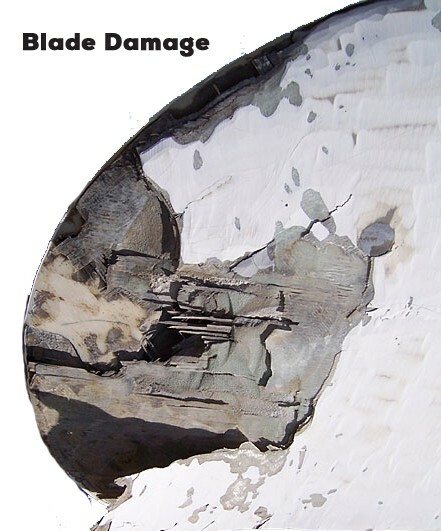 Ultimately our goal is to identify wind turbine blade damage that can lead to expensive failures and to identify less critical but important issues that degrade performance. The data we provide is used by manufacturers, owners/operators and O&M specialists to make effective engineering repair recommendations but it is also used to provide a baseline data to track blade status and wear progression. In addition, asset managers are able to make better, more strategic contracting decisions for maintenance and repair that reduce follow-up repair costs and additional manual inspections; better information provides a more streamlined, targetted approach. Recon Aerial Media is currently under subcontract to Siemens for wind turbine blade inspections throughout Canada. This massive undertaking will see us conduct up to 12000 blade inspections on over 1000+ wind turbines each year. This collective intelligence perfectly positions Recon to serve manufacturer’s owner/operators and O&M specialists alike throughout the wind industry across Canada and beyond. Recon has the know-how, work procedures and technical capacity to deliver loss prevention data that offers immense value. Combining immense boots on the ground operational experience with the data from 1000’s of blade inspections we can easily highlight delamination and other types of repairs such as leading edge erosion and tip repairs. We can also easily classify lightning strikes, bird strikes and other classification of damages that lead to underperformance and potentially blade failure. Recon Aerial Media is has a great working relationship with a premier software company who has developed AI software specifically for defect recognition in wind turbine blades. 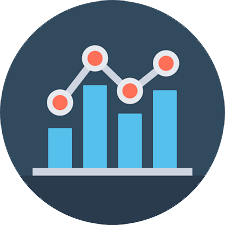 We leverage our inspection workflow integrating AI software to provide incredibly fast and actionable data, complete with sharable site reports. We are also constantly refreshing our knowledge base with respect to software and sensor technology that can add further value to our client’s operations. We are partnering with industry-leading O&M specialists with years of experience who interpret the data we collect and provide our clients with options. We are not experts in engineered solutions related to advanced blade repair but our partners are and can provide advanced blade inspection and repair services. Our partners will review the inspection data with owners to establish a specific plan to remedy problems that will maximize loss prevention, solve performance issues and minimize downtime. What is the annualized cost for UAV Turbine Blade Inspections? We are glad you asked! Use the basic estimation tool below to estimate the costs for either a complete WTI service agreement or the paired down WTI data only service agreement. This form allows you determine the approximate cost for both annualized service plans offered by Recon Aerial Industrial. If you have questions would like to tell us more about your specific operation to receive a tailored service package please outline your requirements below. We offer 2 service agreements. Complete Management provides full inspections management, everything we offer as outlined above including access to Airfusion AI software and one inspection per asset per year. The Visual Media Only provides only the raw image/video data for client review and one inspection per year. This annualized service agreement provides a comprehensive approach to inspections management. One annual inspection is completed on each blade of each turbine. The information in integrated into Airfusion for collaboration, damage classification, reporting & sharing. We provide reports that quickly highlight areas of concern saving immense time in review. Finally, upon request, we can provide you with recommendations via an O&M blade repair specialists. Min cost is per 5 turbines, mobilization costs are additional. This annualized service agreement provides a simple, data centric approach. This service agreement provides boots on the ground to get the work done right and the puts the valuable inspection data squarely in the client's hands. Min cost is per 5 turbines, mobilization costs are additional. If you would like us to contact you to discuss your inspection requirements please "Submit" and we will contact you within 24 hrs. Let's talk, I have some questions.